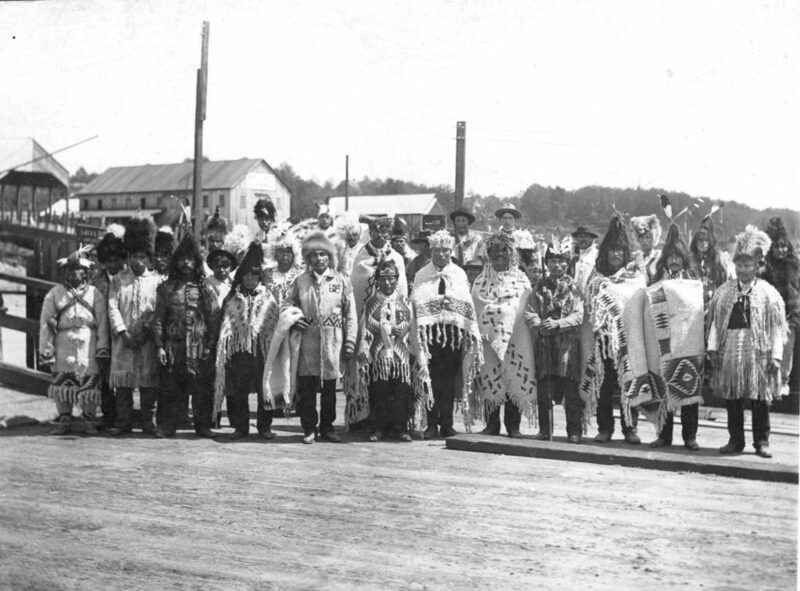 1906 delegation of British Columbia Salish chiefs. Weavers reimagined these woven chiefly robes and headdresses for the Restoring the Breath exhibition. This September, the Center for Contemporary Native Art gallery will showcase the revitalization of Coast Salish fiber weaving. Master weaver Susan Pavel will co-create the exhibition to demonstrate 40 years of Coast Salish weaving through master and apprentice relationships. “The call to weave resonates from a spiritual dimension that honors the quest to create,” Pavel says—and that call also requires that the knowledge be passed on. Trained by late master Subiyay (Bruce Miller), Pavel has trained several women who now also apprentice others. 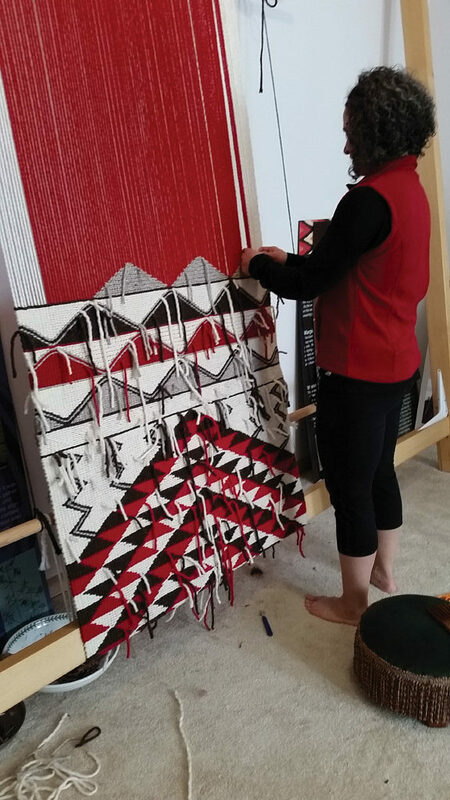 Through the hands of only a few, the art practice of Salish weaving is now a thriving cultural art form, having just celebrated its first international convening in February. Through their work, the weavers and their apprentices celebrate interconnectedness as a source of great strength. The weavers’ voices represent woven strands of individual experiences that have ushered in an unprecedented revival of Coast Salish weaving, which thrives today despite hundreds of years of colonization and genocide in the Salish Sea region—and the near death of the art form by the 1980s. Each of the featured weavers is a consummate artist and historian who weaves stories, songs, dances, celebrations, and ceremonies into their work as icons of Salish pride and identity. Salish history and culture is brought to life when the elder of a community stands before the people in a woven Salish blanket. History is made relevant to the young people when they dress in traditional woven regalia that connect them to their ancestors. The sacred relationship unites all of us by weaving together the past, present, and future. Today, in this place, we stand at the nexus of past and present—honoring the mandate to keep Coast Salish weaving alive. You contribute to this by recognizing the interconnectedness of all things. Each individual fiber gains strength when it is woven with another. It can teach us to weave ourselves in unity, to honor the spirits of love and generosity. Curated by Deana Dartt, Ph.D., Curator of Native American Art. The Center for Contemporary Native Art is supported by the Institute of Museum and Library Services and generous gifts from Mr. Mark J. and Dr. Jennifer Miller, Taffy Gould, the Exhibition Series Sponsors, and Anonymous.